A first-to-market media vehicle delivered to over 340,000 consumers monthly and uniquely positioned to educate the elegant consumer on the hottest trends, Orlando Style is designed to build brand awareness and to drive purchasing action. 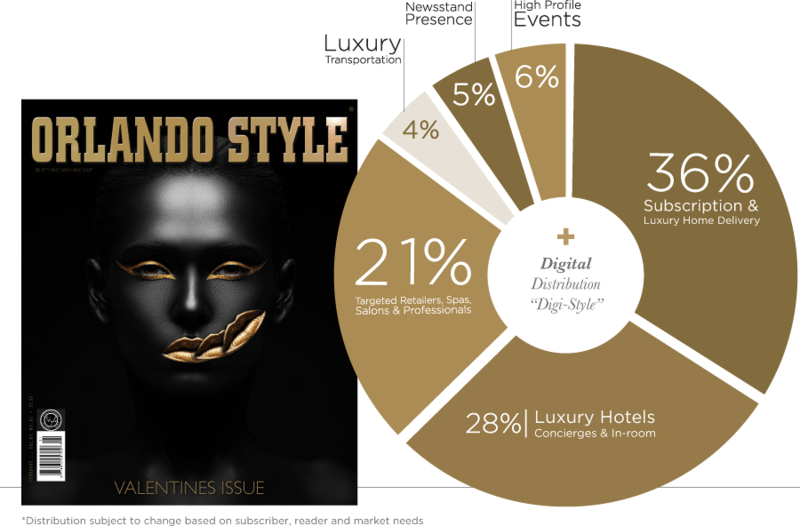 Orlando Style is a monthly, oversized, glossy magazine delivered directly to the homes of hand-selected subscribers in the city’s most affluent and influential markets—audiences that represent our city’s most discriminating luxury goods consumers. 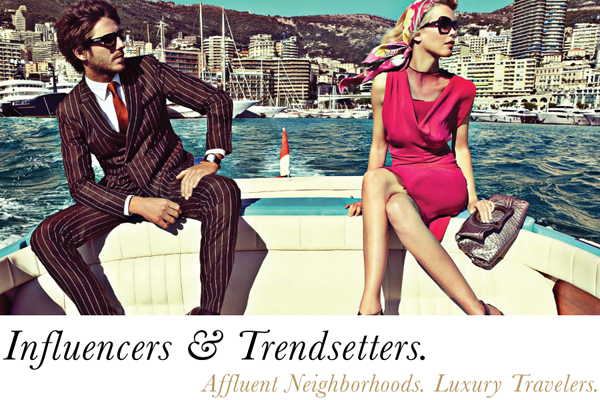 We are the publication of choice for luxury brands and trendsetters in our cities. Additional copies are showcased in many luxury hotel rooms throughout the city and on the newsstands of select magazine retailers including Publix and Barnes & Noble. Orlando Style is available through an effective location-distribution program, distributing through its national distribution partners, Ingram and The News Group to newsstands in Barnes & Noble, Publix, Sweetbay, WinnDixie, etc…. The magazine is also available in countless spas, hair salons, Doctors’ offices and Law firms and is placed in more than 9,500 first-class, 4 star hotel rooms in the metro Orlando area, reaching hundreds of thousands of people. 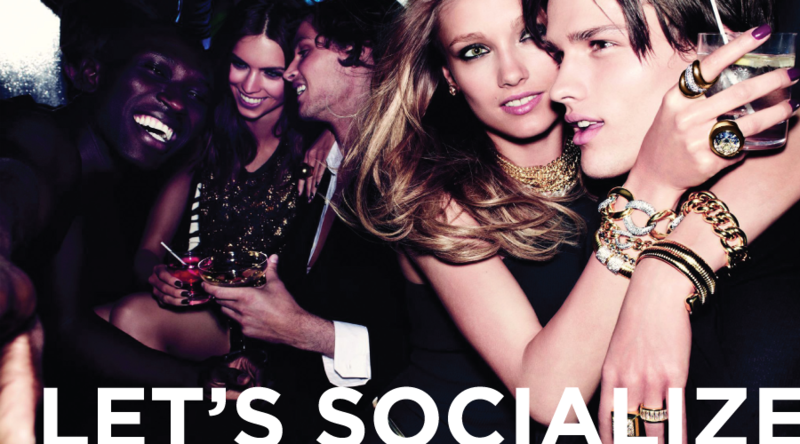 Orlando Style has built an exceptional following of the most active luxury consumers in the region. These carefully vetted readers are considered to be serious influencers in the top tier markets in Central Florida. Orlando Style is delivered monthly to over 90% of the Isleworth Community in Windermere and heavily saturated throughout the hyper-concentrated second tier communities. In addition, over 70% of our readers meet the criteria for authentic affluence—the ability to buy luxury at will. Our readers consider our magazine exceptional, resourceful and entertaining. They are discerning and driven with a meticulous eye for the finest products and services the city has to offer. current census information relative to his or her respective market. 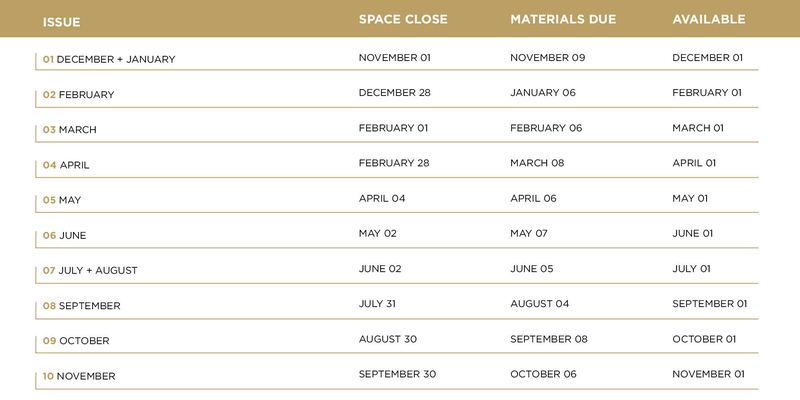 NOTE: Information confirmed for over 90% of the exclusive estates/home delivery segment of our readership. Gender, audience, and average age are reflective of the entire distribution, and based on primary residence. Gender statistics are based on head of household. Demographic information is subject to change based upon distribution and subscribers. 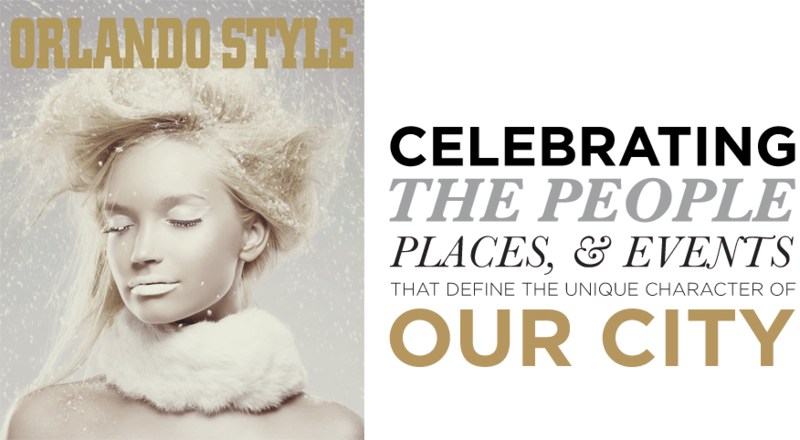 In addition to print, Orlando Style delivers digital magazines with daily updates, available on OrlandoStyleMagazine.com via desktops, tablets and mobile devices. The digital edition allows readers to read articles, view photoshoots, and to purchase products and services, with all advertisements being optimized to drive traffic to the brand’s site or designated URLs. 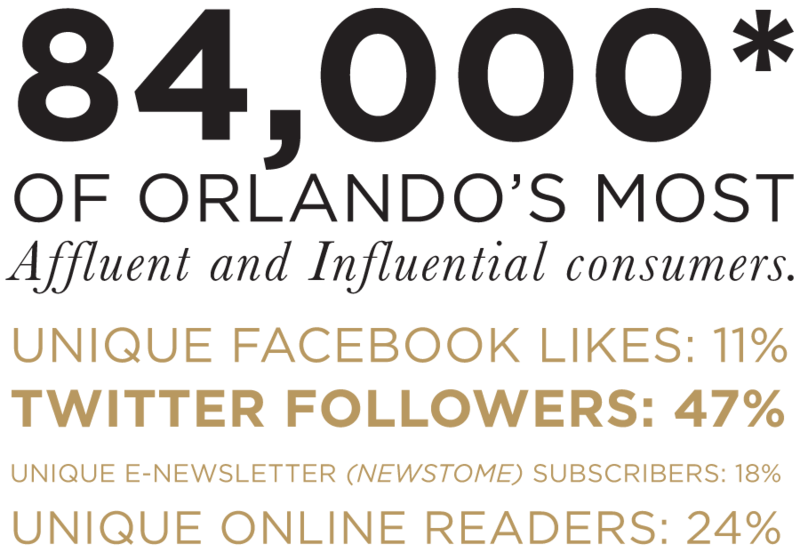 Filled with a rich editorial and diverse content, Orlando Style connects with consumers of affluence and influence of the highest caliber at the height of their passions. From fashion to art and fine dining, from travel and business to beauty and health, we cover every aspect of the luxury lifestyle. Our top-tier readers rely on our expert voice and fresh perspective month after month to stay in the know and on the scene. No other magazine in the city offers such a wide array of hyper-concentrated, city-specific coverage. Our readers rely on Orlando Style to define what’s new and now in their social scene. 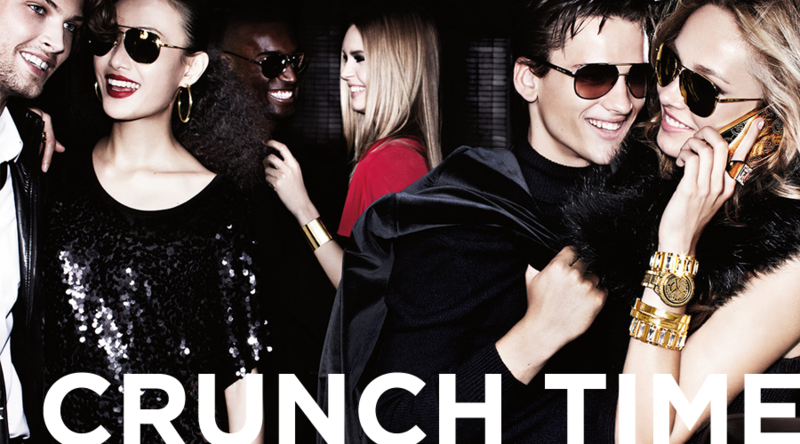 We cover everything with exclusivity from where to eat, where to relax and where to shop; with highlights on restaurant, hotel, retail store and grand openings.We’re involved in the cities’ most exclusive parties and cultural events, always in the know with new product launches and interviews with celebrity chefs, personalities and entrepreneurs. Our editorial content creates an intimate connection with our communities and provides harmonious ad placement for targeted offers and events.